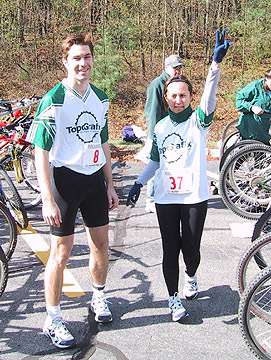 Team TopoGrafix riders Andrina, Braxton, Dave, and Vil competed in the 2002 Rockbuster Duathlon at Ashland State Park. 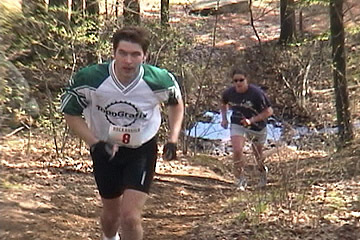 The course consisted of a two mile run, a seven mile mountain bike ride, and a final two mile run to the finish line. Braxton and Vil each carried GPS during the event. 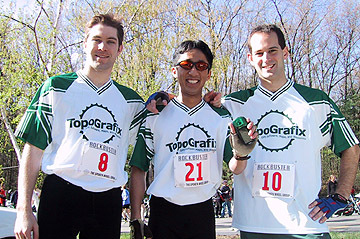 Team TopoGrafix riders Braxton, Vil, and Dave before the start of the Rockbuster Duathlon. Braxton and Andrina get ready to race. 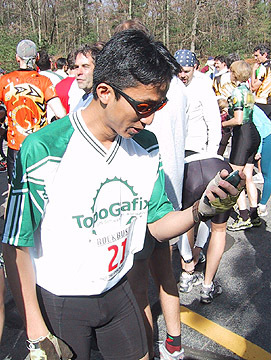 Vil sets up his GPS at the start line. 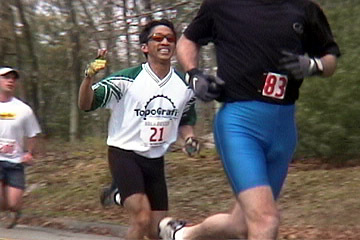 Vil moves up during the first lap of the Rockbuster Duathlon. Braxton crosses the bridge and heads uphill one mile into the race. Braxton heads for the top of the hill. Andrina carries her bike through the stream crossing and heads up the hill. Dave and his bike head up the hill. 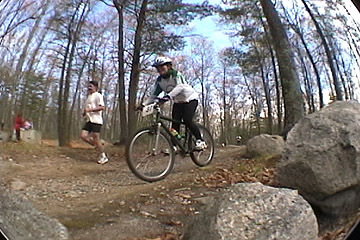 Andrina on a rocky downhill stretch of the mountain bike loop. 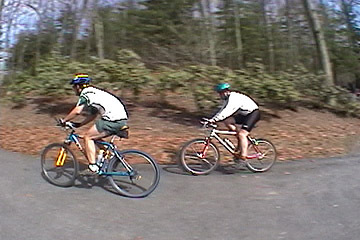 Dave passes another rider as they head into the transition area for the final 2 mile run. 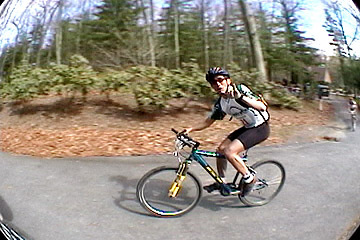 Vil waves as he finishes the bike section of the race. 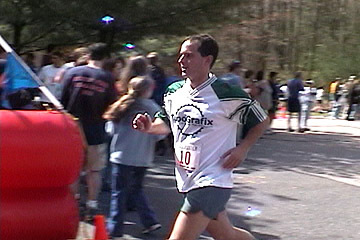 Dave crosses the finish line. Braxton and Dave cool down after finishing the race. 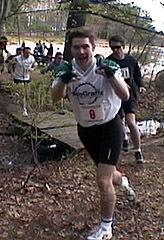 Braxton and Vil carried Garmin eTrex Venture GPS receivers during the Rockbuster Duathlon. 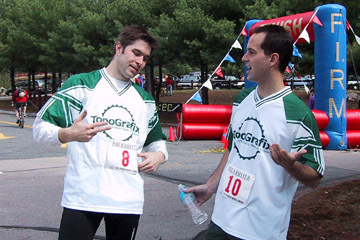 Their GPS data is available on the Team TopoGrafix Trails page.